November is usually included in the fall season. Winter waits on the sidelines until December 21 on most calendars and Environment Canada and other agencies decree that winter begins on December 1 and ends on February 28 (or a day later in Leap years). In Northern Ontario, November usually qualifies as a winter month. Snow always happens and can come in “normal” amounts or enough to halt road and air traffic. Northern Ontario would cover much of northern Europe so it is not a surprise that both day-to-day weather and extremes vary greatly. Large lakes, Hudson’s Bay and James Bay are typically free of ice and the combination of open water, cold temperatures and onshore winds can result in major snow accumulations in local areas. In November temperatures decline significantly across this large region. This decline to cooler temperatures, usually almost 10° C cooler at the end of the month affects obvious things like how much fuel is needed to heat houses and buildings. As well it changes the rain/snow ratio. November typically has a mix of rain and snow and, as the month progresses, the bulk of precipitation falls as snow by month’s end. The factor of the freezing/melting point of 0° C also determines a critical process in the North – “freeze up“. The timing of “freeze up“ is complicated. It depends on average daily temperatures being below 0° C but usually requires a “hard freeze of several days to get started. Bright sunshine can postpone freezing of ground and water. Ice formation, especially ice thick enough to walk or drive on, generally takes weeks. The water volume of larger and deeper lakes takes time to cool even with extremely cold air. Wind-driven mixing speeds up the cooler process but also delays the formation of an ice surface. Then, ice thickness and safety is strongly influenced by the amount of snow cover. Light snow provides efficient insulation for protection of water lines but can create dangerous ice conditions. Freeze up can be well in place by the end of November some years, as happened in 2014 during one the coldest on record. November 2016 was at the other extreme with near-record warmth in the region. The consequence was that freeze up was delayed to well into December. And this year? Cold conditions in the past week or two are forecast to continue for least another week. Should we expect a repeat of 2014? Probably not, although the jury is still out. Cloudy conditions and slightly cooler than average temperatures prevailed through October and into early November. We do not live in Camelot and, unlike this fabled place where “the winter is forbidden till December”, some snow has occurred. As I write, there is some snow cover from the boundary with Manitoba to James Bay. The most snow is west of Attawapiskat [First Nation] with a depth of 15 cm. The snow belt to the east of Lake Nipigon has about this amount. much. The “snow season” has begun in many areas. The is no shortage of predictions for the coming winter. For official predictions this means December, January and February, the three coldest months of the calendar year. As already mentioned, November can resemble winter and March usually sneaks into the mix. Officially winter comprises of the 90 days between December 1 and February 28, 2019 (no extra “leap” day this time). Predicting winter or any future season is more complicated than a 50-50 chance. When all the numbers are crunched on March 1, 2019 the preceding three months may have been warmer or cooler than normal but also “normal”. And a normal winter fits in between. Predicting the future accurately is risky. A big unknown for winter prediction this year is El Niño, an ocean-warming process in the distant tropical Pacific Ocean. This process takes place about 12,000 km away and does not influence our weather directly. It changes wind flow and jet streams around the world. 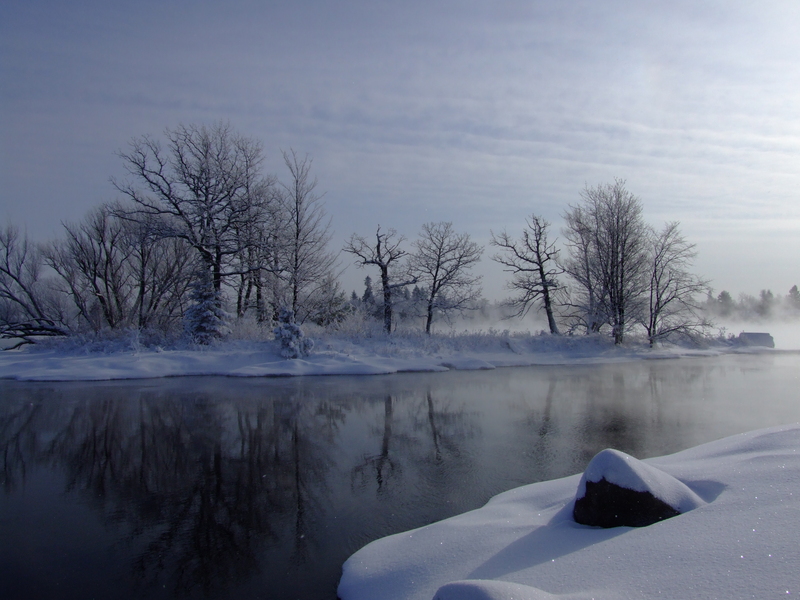 Warming of these tropical waters often translates into a warmer winter with reduced snowfall in Northern Ontario. Current predicting models suggest further warming of the Pacific is likely. However, how much warming that occurs in the Pacific is critical. It is still getting warmer and present conditions favour the formation of a weak El Niño Some weather agencies have already included El Niño in their winter predictions. Environment Canada is expecting a “milder than normal” winter and the American Weather Service states a similar outlook. The Farmers’ Almanac warns Canadians “to brace for a winter that will be nasty, brutish and not at all short”. They predict “biting cold” in Ontario and “teeth-chattering cold” across the Prairies and more snow than normal. I am in the “milder than normal” group but we have to wait until March 1 to really crunch the numbers. Graham has a long history of writing about and working with the weather. His background includes work with the Australian Weather Bureau, the Atmospheric Environment Service of Canada and forest fire weather prediction for forest fire management teams with the Ontario Ministry of Natural Resources. His research and presentations include climate change and consequences for the boreal forest and changes in the frequency of severe weather, especially in northern Ontario. heavy rain events and. He has taught meteorology, various climate- related and Northern Studies courses at Lakehead University since 1995. He writes for several publications about weather, climate, Lake Superior, agriculture and northern gardening issues, including his book Gardening with Short Growing Seasons.